Mid-life refreshes can be radical, giving the updated car a totally new identity. 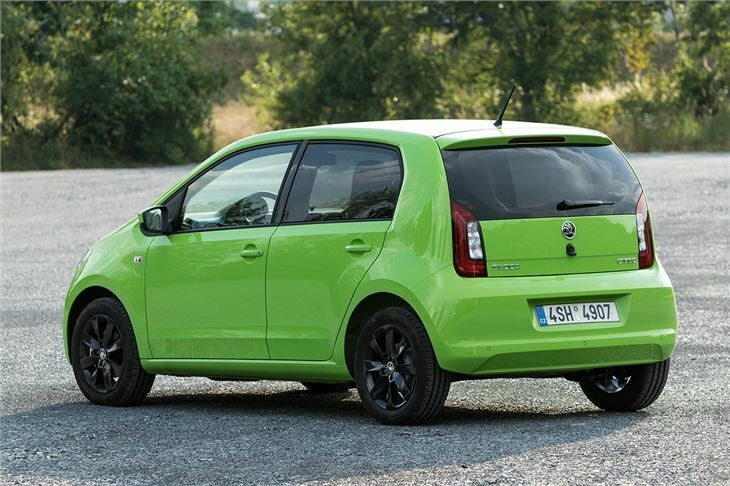 And sometimes they’re the exact opposite – like the revised Skoda Citigo. It looks the same, drives the same and costs more or less the same as it always has. But, pleasingly, it’s easier to live with now thanks to a few subtle but important tweaks. We say it looks the same, but there have been a few styling changes. The most notable is a new bonnet that has the same creases and bulges as you get on a Kodiaq or a Superb. 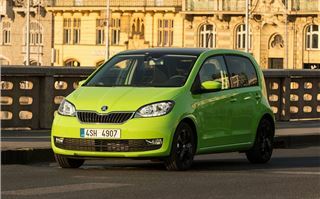 The bumper, grille and headlights have been redesigned too, in an effort to make the Citigo look like part of the Skoda family instead of an adopted Volkswagen. Oh, and there’s now an almost violent shade of green paint. The tweaks that matter most are inside though. The instrument binnacle has been changed and is now classier and clearer, plus the infotainment system has been brought up to date and is much improved. The old, optional “PID”- that looked like a cheap sat-nav and slotted into the top of the dashboard - has been scrapped. Instead, there are now two different options. Basic S models get a radio system called “Blues”, while every other model gets a colour system called “Swing”. It’s really nicely integrated and, while it might not be a touchscreen, its display is clear and responsive. Plus it links up to a smartphone app, either via Bluetooth or a USB cable. You can then install your phone into the cradle on top of the dashboard, where it behaves a lot like the old PID system did in the earlier Citigo. You can navigate, check trip information and see various other figures and tools related to the car. It’s a really clever way of affordably bringing advanced features into the car. It isn’t perfect though. Skoda's own navigation app, for example, is on the slow side and has a bizarre habit of displaying the current speed limit icon directly on top of upcoming junctions and roundabouts - which can result in taking wrong turns. Fortunately, the solution is to simply use a different app for navigation, like Waze or Google Maps, both of which are free. Also, and rather oddly, DAB radio is optional rather than standard. There are a few other extras that we’d prefer to see fitted as standard too, including City Safe auto emergency braking and cruise control. 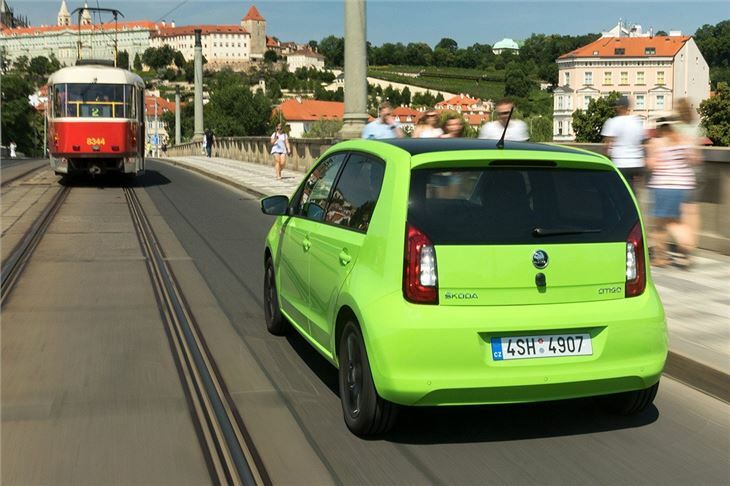 Some of the other cost options include climate control in place of manual air conditioning, plus a variety of wheel designs and paint colours. 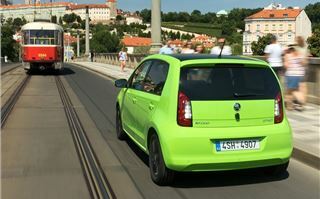 From a practicality perspective the Citigo is unchanged. Three- and five-door models are available, with the latter offering a surprisingly amount of rear space and decent access. The back row isn’t huge – but nothing in this class is and it’s perfectly acceptable for occasional use. Even the three-door does the job, but obviously access is tricky compared to the five-door. The boot, too, is surprisingly useful. There’s a load lip to lift things over unless you pick the optional, £65 vario floor, which provides a flat load area, But the 251 litre capacity is more than enough for shopping trips. For bigger stuff the rear seats fold down (except on S models). But clearly this is no load-lugger- even if you fold the rear seat backs down you’ll struggle with bulky items. 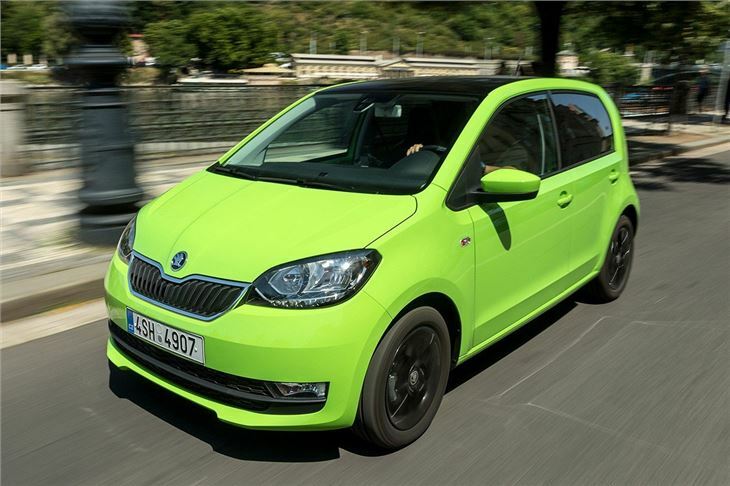 The outgoing Citigo, like its Volkswagen and SEAT counterparts, was great to drive. 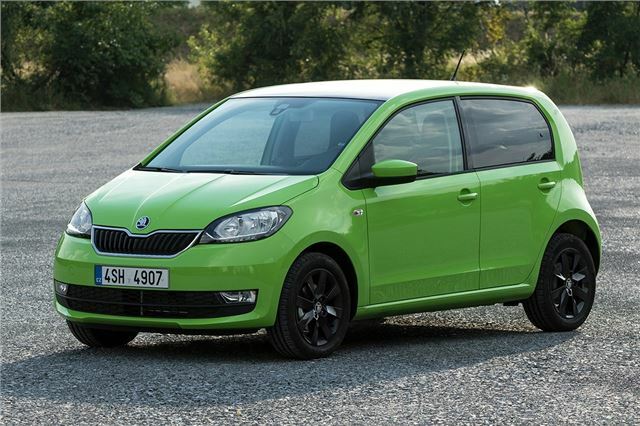 So Skoda has, quite rightly, left the chassis and driving experience unchanged. The steering, pedals and manual gear change feel pleasingly chunky without being heavy in town. 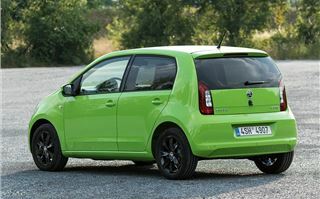 On a country road the Citigo has loads of grip and is more than nimble enough to raise a smile. But avoid the automated manual unless you absolutely need it - it's slow and clunky. 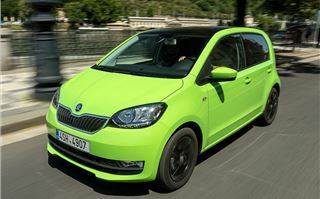 As before, the engine is a 1.0-litre three-cylinder petrol with either 60PS or 75PS. There’s very little benefit to picking the more powerful version unless you drive on the motorway a lot, because around town both feel almost identical and have similar economy of around 65mpg. 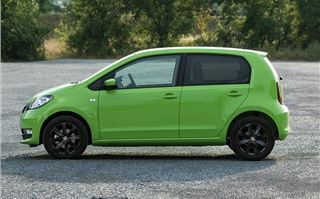 It’s just a shame Skoda isn’t fitting the punchier 90PS, turbocharged 1.0-litre engine available in the Volkswagen Up. 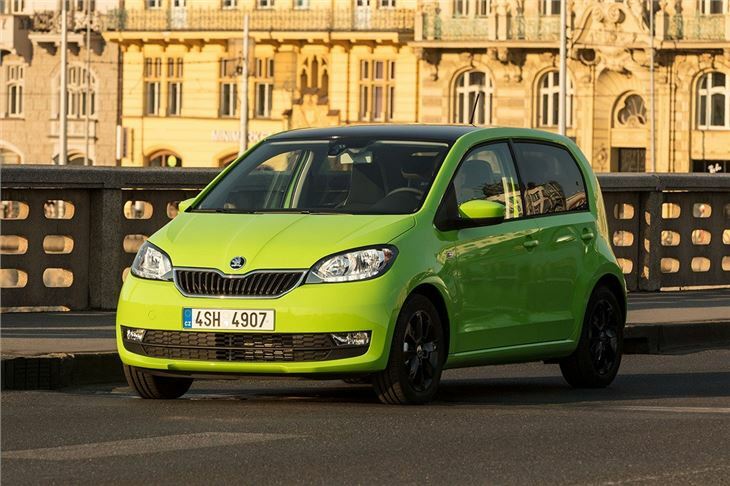 The mid-life updates might be quite minimal, but the updated Skoda Citigo is still one of the best cars in its class. A Suzuki Celerio is more practical but lacks the plush, quality feel of the Citigo, while the Peugeot 108 and Citroen C1 don't feel quite as well made. The closely related Volkswagen Up costs more – though it does come with the option of a turbocharged engine.But,i f you can do without that, there's every reason to go for the Skoda.